This year’s show is the 6th edition, with the first event launched in 2014. New to WTM Africa, is the African Tourism Investment Summit in partnership with Africa Business Group, which will host keynote speakers who will share their experience. World Travel Market Africa 2019 is shaping up to be the biggest iteration of the African continent’s leading B2B Travel Trade Show, yet, with an ever-growing confirmed exhibitor list full stop. This year’s show is the 6th edition, with the first event launched in 2014. The official Press Conference kicks off at 10:30 on Wednesday the 10th of April, where key industry leaders from the African Continent will address attendees on the state of tourism in Africa. The Host City of Cape Town, who has been awarded the world’s leading festival & event destination 2018 by World Travel Awards, will welcome travel professionals from across the globe to #WTMA19. With its status as a global tourism hotspot confirmed by a host of consumer & trade accolades, UNESCO recognition and soaring local and international visitor numbers, the Mother City is the ideal home for a WTM Africa that brings together buyers and exhibitors from over 70 countries, to do business every April. #WTMA19 is a part of a global travel trade success story that started in 1980 – with World Travel Market London. By 2016, following several expansive venue changes, it had grown to a three-day event. The first version outside of the UK was the Arabian Travel Market, which opened its doors in 1994 at the Dubai World Trade Centre. WTM Latin America was next, in 2012, before World Travel Market Africa joined the portfolio in 2014 as part of Africa Travel Week. The WTM portfolio now facilitates global travel trade deals worth several Billion US Dollars, between tens of thousands of buyers and exhibitors from over 100 countries. WTM Africa is right at the forefront of innovation when it comes to providing travel trade opportunities. New to WTM Africa, is the African Tourism Investment Summit in partnership with Africa Business Group which is a dedicated Summit for Tourism investors and associated investment opportunities, running on 11 & 12 April. The Summit will host keynote speakers who will share their experience in facilitating Tourism investment opportunities on the African continent. Though investment in the Tourism field is at the heart of the Summit’s focus, speakers, networking opportunities and master classes will also open up access to lateral sectors that contribute to the industry. Plenary discussions will outline the scope of opportunity across Africa, while breakaway sessions will help connect interested parties and unearth solutions for partnerships. 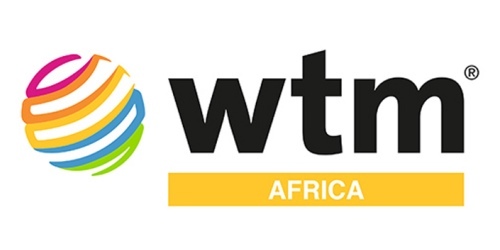 WTM Africa brings together buyers and exhibitors. 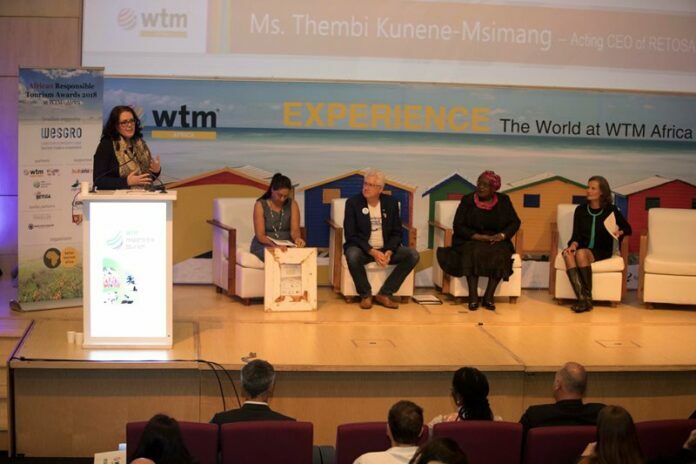 Responsible Tourism is on the global industry agenda – and WTM Africa 2019 hosts a series of dedicated sessions, including a two-day Business Case for Responsible Tourism conference, to cater for one of the most important debates in the travel world. The two-day Tourism event runs from 09:00-11:30 on both Thursday 11 and Friday 12 April and explores the impact that Responsible Tourism can have on the bottom line, simply by doing better business. Past winners and the newly-announced 2019 African Responsible Tourism Awards winners will also be sharing their responsible business journeys as part of the programme. 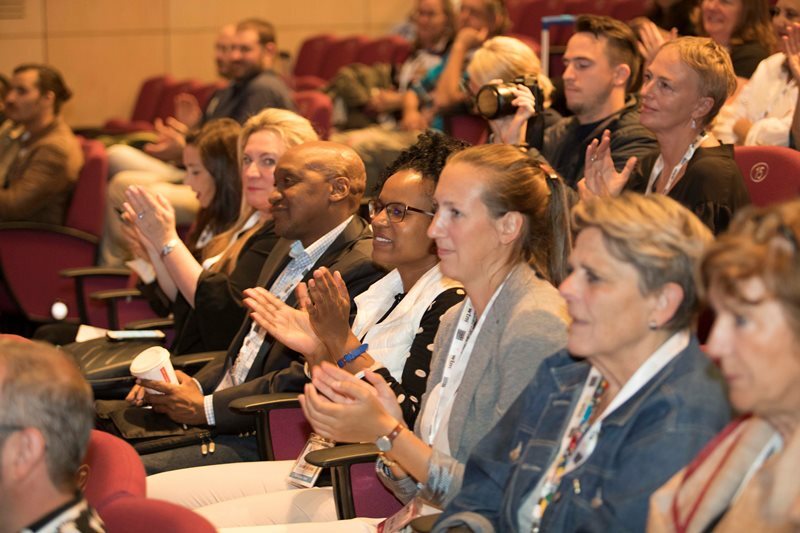 Travel technology assumes an even more prominent role at WTM Africa 2019 with a dedicated one-day event – Travel Forward in partnership with e-Tourism Africa Summit (eTAS) on Friday 12 April, from 09:30 in the Inspire Theatre. Travel Forward will be hosted by Digital Marketing Expert & Technopreneur, Mavin Waganda, who will facilitate panel discussions, showcase the latest in global travel tech and help visitors navigate the digital travel world, aiming to educate continental industry stakeholders about the pivotal – and even somewhat unexpected – role that digital elements can play in driving business and improving experiences. A host of other global speakers and influencers will present in the Conference, Inspire, Destination and Travel Forward Theatres between 10 and 12 April 2019, tackling topics from Responsible Tourism to Business Events and Sports & Events Tourism, to trends in Travel Influencer Marketing. The most up to date events listing and speaker line-up are available on the WTM Africa Conferences page. Some sessions require an additional advance registration, which will be possible via a link for the designated session – so be sure to check in on- take out requirements for the sessions you don’t want to miss. With just under 3 weeks before the show kicks off on 10 April, there’s still time to register as a Buyer, Visitors, Exhibitor or member of the Media, to be part of the continent’s leading travel trade event. Registrations, exhibitor and visitor information as well as the events program can be found on the WTM Africa website.